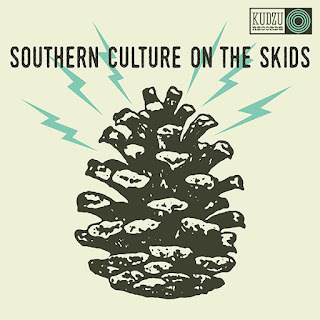 Southern Culture on the Skids have carved out a niche for themselves as America’s premier rocking hillbilly/surf/hot-rod and sometimes exotica band. 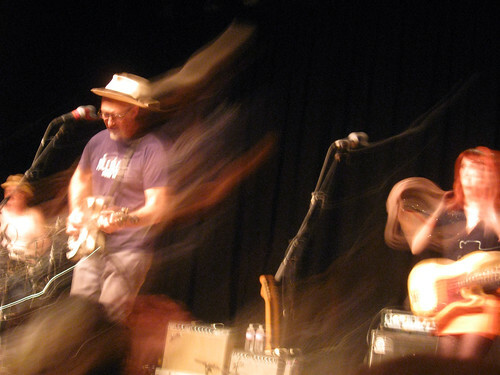 Their latest album, The Electric Pinecones, was advertised as the group’s venture into garage rock, folk rock, and psychedelia. Indeed, Rick Miller’s guitars are a little fuzzier on some songs, and there is a weird little keyboard riff on the opening song, “Freak Flag.” And it’s true that the song “Waiting On You” sounds like it could be a lost gem from a late ’60s Roger Corman movie. But basically this album sounds pretty close to rocking hillbilly/surf/hot-rod and sometimes exotica to me — which is a good thing. Miller, Mary Huff, and Dave Hartman are so good at what they do, it would be a shame to lose them to experimentation for experimentation’s sake. I believe all these songs would fit in seamlessly in a live set with SCOTS’ classic material. “Rice and Beans,” for instance, would be a nice side for the band’s “8 Piece Box” (as long as you have their “Banana Pudding” for dessert). One of the standouts here is the song “Midnight Caller,” sung by Huff in the Southern-soul manner she does with songs like Shirley Ellis’ early ’60s hit “The Nitty Gritty.” And speaking of fuzz, on “Dirt Road,” Miller borrows The Yardbirds’ “Heart Full of Soul” guitar riff. But my favorite ones here are simple country tunes like “Baby I Like You,” and “I Ain’t Gonna Hang Around,” both of which I could imagine Buck Owens singing. And this band has rarely sounded prettier than they do on “Given to Me,” a country love song featuring irresistible harmonies by Miller and Huff. 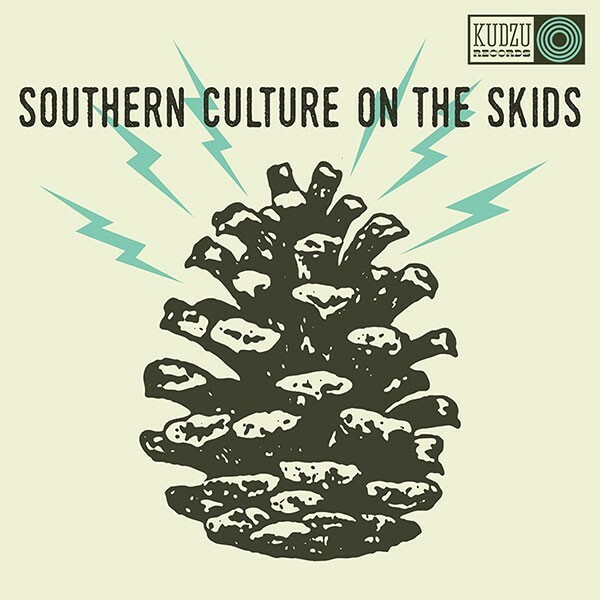 This album is named after an old side project in which the SCOTS crew played what Miller describes as “West Coast psych, folk, and country.” Sometimes the Pinecones served as Southern Culture’s opening act. I don’t care what they call themselves, this is a band that continues to delight. 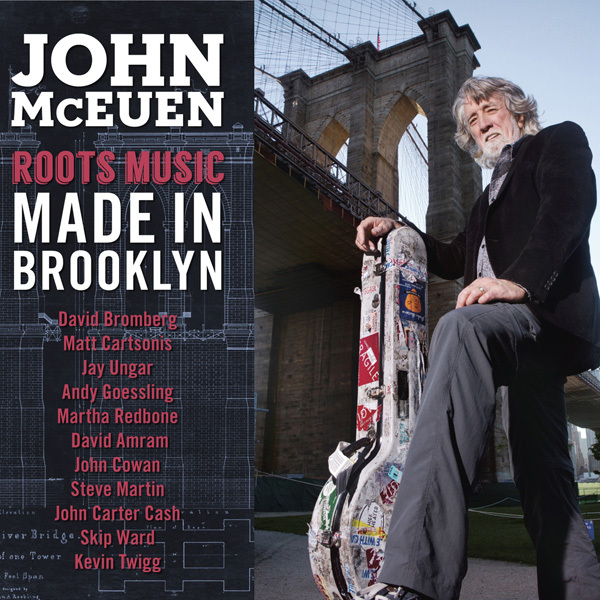 * Made in Brooklyn by John McEuen. He was the tall, dark, and usually silent banjo ace with The Nitty Gritty Dirt Band. Even as that band drifted into light country pop, every so often a McEuen banjo lick would rise out of the background and remind you that this was the group responsible for Will the Circle Be Unbroken and Uncle Charlie & His Dog Teddy. McEuen has stayed true to his country/bluegrass roots, and his latest album, full of musical titan guest stars, sounds like a living room picking party you wish you’d been invited to. David Bromberg adds his guitar and vocals all over the place here; John Cowan, formerly of New Grass Revival, sings, as does John Carter Cash ( Johnny and June’s boy). Steve Martin (yes, that Steve Martin) plays banjo while New York folkie Jay Ungar plays fiddle and Beat Generation jazzman David Amram plays flute and penny whistle. The first tracks that grabbed me here are two songs written by the late, lamented Warren Zevon. One is a latter-day Zevon anthem, “My Dirty Life and Times,” which he wrote while dying of cancer (“Some days I feel like my shadow’s casting me/Some days the sun don’t shine”). The other is the wicked and wonderful “Excitable Boy” (“He took little Suzie to the junior prom, excitable boy, they all said/And he raped her and killed her, then he took her home”). With singer Matt Cartsonis and Bromberg sharing lead vocal duties, it’s amazing how well this works as a bluegrass tune. Bromberg shines on a fresh acoustic recording of “Mr. Bojangles.” He played on the original Jerry Jeff Walker version, while McEuen, of course, played on the hit 1971 single by the Dirt Band. 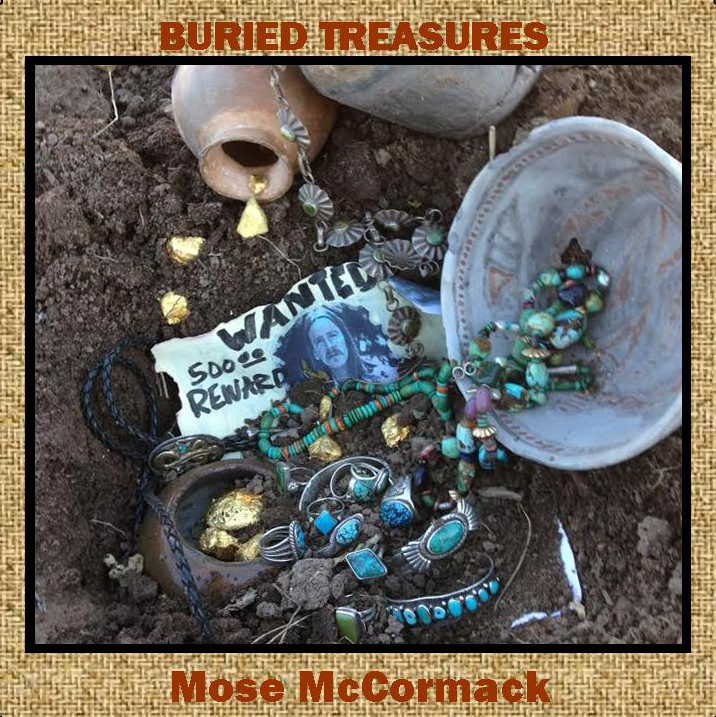 McEuen himself takes a rare lead vocal role on a laid-back version of a more unsung NGDB classic, “Travelin’ Mood,” which originally was recorded by New Orleans R&B man Wee Willie Wayne. A year later, McCormack, an Alabama native who moved to New Mexico in the ’70s (he’s been living in Belen for the past few years), recorded his debut album Beans & Make Believe at Wagner’s studio. None of the Buried Treasures songs are on it. I’m pretty sure that Mose had forgotten about these early tunes; I’ve been following his music since the ’80s and I don’t think I’d heard any of these before. But I’m glad he finally released them. Like most of his repertoire, Buried Treasures is mainly good, simple, and pure country music full of wit and hangdog humor. And these early tunes show more than a kernel of the talent that made listeners love McCormack’s music. The most rocking number is the last one, “Tell Me Why.” There’s a classic McCormack couplet here: “Everybody’s feeling paranoid/Psychopathologically a humanoid.” Hopefully these and some of the other nuggets on this record will become part of his stage repertoire. UPDATE 1:30 pm Friday Mose had to cancel his appearance on the SF Opry tonight. We'll reschedule in the near future.